Friedrich Gottlieb Klopstock (July 2, 1724 – March 14, 1803) was a German epic and lyric poet. His more subjective approach initiated a break with the rationalist tradition of the earlier eighteenth century, paving the way for the rise of Romanticism in Germany. Klopstock was best known for the religious character of his poetry, both in his odes, which were of a greater quality, and in his epic work, Der Messias. He was interested in poetry as an expression of the divine, and the poet as the divine transmitter of higher truth, not the ecstatic voice of the prophet but in the poetic form of rhyme and meter. Klopstock was born at Quedlinburg, Germany, the eldest son of a lawyer, a man of sterling character and of a deeply religious mind. Both in his birthplace and on the estate of Friedeburg on the Saale, which his father later rented, young Klopstock passed a happy childhood; as more attention was given to his physical than his mental development, he grew up a strong, healthy boy and was an excellent horseman. 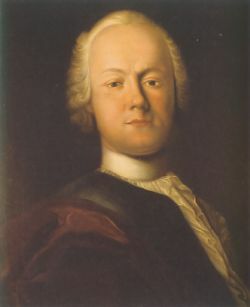 At age 13, Klopstock returned to Quedlinburg where he attended the gymnasium, and in 1739 proceeded to the famous classical school of Schulpforta. Here he soon became adept in both Greek and Latin versification, and wrote some meritorious idylls and odes in German. His original intention to make Henry the Fowler the hero of an epic was abandoned in favor of creating a religious epic, under the influence of John Milton's Paradise Lost with which he became acquainted through Johann Jakob Bodmer's translation. While yet at school, he had already drafted the plan of Der Messias, upon which his fame mainly rests. On September 21, 1745, he delivered, on the occasion of taking leave from school, a remarkable oration on epic poetry—Abschiedsrede über die epische Poesie, kultur–und literargeschichtlich erläutert. He proceeded on to the University of Jena as a student of theology, where he elaborated the first three cantos of the Messias in prose. Unsatisfied in Jena, he moved on in the spring of 1746 to the University of Leipzig, and here joined the circle of young men of letters who contributed to the publication, Bremer Beiträge. In this periodical the first three cantos of the Messias in unrhymed hexameters were anonymously published in 1748. A new era in German literature had commenced, and the name of the author soon became known. In Leipzig he also wrote a number of odes, the best known of which is An meine Freunde (1747), afterwards recast as Wingolf (1767). He left the university in 1748, becoming a private tutor in the family of a relative at Langensalza. Here unrequited love for a cousin (the "Fanny" of his odes) disturbed his peace of mind. He happily accepted an invitation from Bodmer, the translator of Paradise Lost, to visit him in Zürich in 1750. Here Klopstock was at first treated with every kindness and respect and rapidly recovered his spirits. Bodmer, however, was disappointed to find in the young poet of the Messias a man of strong worldly interests, and a coolness sprang up between the two friends. At this juncture, on the recommendation of his minister, Johann Hartwig Ernst, Count von Bernstorff (1712-1772), Klopstock received an invitation to settle in Copenhagen with an annuity of four hundred thalers in order to complete his Messias from Frederick V of Denmark. On his way to the Danish capital, Klopstock met in Hamburg an enthusiastic admirer of his poetry, Margareta (Meta) Möller (the "Cidli" of his odes). She became his wife in 1754. His happiness was short; she died in 1758, leaving him broken-hearted. His grief at her loss finds pathetic expression in the fifteenth canto of the Messias. The poet subsequently published his wife's writings, Hinterlassene Werke von Margareta Klopstock (1759), which give evidence of a tender, sensitive and deeply religious spirit. Klopstock now relapsed into melancholy; new ideas failed him, and his poetry became more and more vague and unintelligible. He still continued to live and work at Copenhagen, and next, following Heinrich Wilhelm von Gerstenberg, turned his attention to northern mythology, which he believed should replace classical subjects in a new school of German poetry. In 1770, on the dismissal by King Christian VII of Count Bernstorff from office, he retired with the latter to Hamburg, but retained his pension together with the rank of councilor of legation. There, in 1773, he issued the last five cantos of the Messias. In the following year he published his strange scheme for the regeneration of German letters, Die Gelehrtenrepublik (1774). In 1775 he travelled south, making the acquaintance of Goethe on the way, and spending a year at the court of the margrave of Baden at Karlsruhe. In 1776, with the title of Hofrath and a pension from the margrave, which he retained together with that from the king of Denmark, he returned to Hamburg where he spent the remainder of his life. His later years were spent in retirement, only occasionally relieved by association with his most intimate friends. He busied himself with philological studies, taking little note of the new developments of German literature. The American Revolutionary War and the Revolution in France aroused him, however, to enthusiasm. The French Republic sent him the diploma of honorary citizenship; but, horrified at the terrible scenes the Revolution enacted in the place of liberty, he returned it. At the age of 67 he contracted a second marriage with Johanna Elisabeth von Winthem, a widow and a niece of his late wife, who for many years had been one of his most intimate friends. He died at Hamburg on March 14, 1803, mourned by all Germany, and was buried with great pomp and ceremony by the side of his first wife in the churchyard of the village of Ottensen. Klopstock's nature was best attuned to lyrical poetry, and in it his character found its truest expression. He was less suited for epic and dramatic representation. He lacked an interest in historical culture, even the events of his own time—thus he was lacking in the art of plastic representation such as a great epic requires. The Messias, despite the magnificent passages which especially the earlier cantos contain, do not satisfy the demands such a theme requires. It must be acknowledged that the subject matter, the Redemption, presented serious difficulties to adequate epic treatment. The Gospel story was too scanty, and what might have been imported from without and interwoven with it was rejected by the author as profane. He had accordingly to resort to Christian mythology; but circumscribed by the dogmas of the church, he was unwilling to trespass on the fundamental tenants of the Christian faith. The personality of Christ could scarcely be treated in an individual form, still less could angels and devils; and in the case of God, it was impossible. The result was that, despite the groundwork laid by the Gospels, the Acts of the Apostles, the Revelation of St. John, and the model ready to hand in Milton's Paradise Lost, material elements are largely wanting and the actors in the poem, divine and human, lack plastic form. Those limits, and the fact that the poem took 25 years to complete undermined the unity of its design; the original enthusiasm was not sustained until the end, and the earlier cantos are far superior to the latter. The intense public interest the work aroused in its commencement had almost vanished before its completion. Still, it was translated into 17 languages and led to numerous imitations. In his odes, Klopstock had more scope for his peculiar talent. Among the best are An Fanny; Der Zürchersee; Die tote Klarissa; An Cidli; Die beiden Musen; Der Rheinwein; Die frühen Gräber, Mein Vaterland. His religious odes mostly take the form of hymns, of which the most beautiful is Die Frühlingsfeier. Some of his dramas, notably Hermanns Schlacht (1769) and Hermann und die Fürsten (1784), celebrated the deeds of the ancient German hero Arminius. Others, like Der Tod Adams (1757) and Salomo (1764), took materials from the Old Testament and are essentially lyrical in character and deficient in action. In addition to Die Gelehrtenrepublik, he was also the author of Fragmente über Sprache und Dichtkunst (1779) and Grammatische Gespräche (1794), works in which he made important contributions to philology and to the history of German poetry. Klopstock's lyrical poetry became impetus for one of Johann Wolfgang von Goethe's hero in The Sorrows of Young Werther. The Romantic youth, Werther, was said to be a devotee of Klopstock. Klopstock's Werke first appeared in seven quarto volumes (1798-1809). At the same time a more complete edition in 12 octavo volumes was published (1798-1817), to which six additional volumes were added in 1830. Other nineteenth-century editions were published in 1844-1845, 1854-1855, 1879 (edited by R. Boxberger), 1884 (edited by R. Hamel) and 1893 (a selection edited by F. Muncker). A critical edition of the Odes was published by F. Muncker and J. Pawel in 1889; a commentary on these by Johann Heinrich Joseph Düntzer (1860; 2nd ed., 1878). History of "Friedrich Gottlieb Klopstock"
This page was last modified on 12 May 2017, at 22:08.